Spanning almost the entire length of your rear upper torso, the muscles of the back are the most popular muscle group you do not see on a daily basis. Despite not being able to turn around and admire the muscles of your back, these muscles are extremely important to the aesthetic and functional aspects of any great physique. Generally, when thinking of the muscles of the back, we tend to think of the Lattisimus Dorsi and the Erector Spinae muscle groups. The Lattisimus Dorsi more commonly referred to as the “lats” are responsible for extending and adducting the shoulder, horizontally abducting the arm, and internal rotation of the shoulder joint. The lats are what give the back that “cobra” head type look and the majority of back exercises or pulling movements are a result of shoulder extension and/or adduction which leads to the involvement and development of the lat muscles. The Erector Spinae muscle group consists of three columns of muscle running vertically from the skull all the way to the pelvic area. These muscles are the focus of the lower back and are responsible for extending the spine hence the name Erector Spinae. Exercises like hyper-extensions and the multiple variations of the deadlift are examples that work the low back through spinal extension. Shifting the focus to training the muscles of the back, I have compiled up a few tips for wide back success. How you perform a workout is just as important as the workout itself. Performing exercises without proper planning or form can set you up for lackluster results. Therefore, I have compiled a few tips to help you avoid making growth limiting mistakes and to help you instead to focus in on the back muscles for optimal growth. Quite often you will see strength training programs call for separate chest and shoulder workouts on nonconsecutive days. However, sometimes you will also see them paired together as well. The thought process behind working the shoulders and chest separately on nonconsecutive days, or working them on together come from the notion that they are very similar exercises. Both muscle groups are performed with push dominated exercises that include many of the same muscles except one is a horizontal pressing movement and the other is a vertical pressing movement. At this point, you may be thinking what does this have to do with the back? Although the pulling exercises that dominate back workouts occur on a vertical and horizontal plane as well, we simply do not focus on that aspect like with do with our push dominated workouts. With the muscles of the chest and shoulders being the blueprint, we are going to focus on both horizontal and vertical pulling movements to equally strengthen the back through a balanced movement approach. Whether the pulling movements are performed during separate nonconsecutive workout days or during the same workout, the key is making sure that an equal number of both are being performed over the long haul. In addition to having balanced pulling exercise approach for a well-rounded physique and back development, it is also a smart idea to equal out the number of push to pull exercises per week as well. Too much of one and not enough of the other can lead to muscular imbalances; thus sabotaging the goal of building a well-rounded physique. Growing a wide back is all about overloading the muscles. Doing so through different techniques such as changing grip widths and/or hand positioning leads to emphasizing different areas of the muscle allowing for all-around muscular development. Something as simple as gripping the bar with your palms up or palms down can make a world of difference. For instance, positioning your hands with an overhand or pronated grip limits the biceps activation and puts more of the workload on the lat muscles. Conversely, the underhand or supinated grip engages the biceps thus letting one use more weight to overload the back muscles. Back training should include both overhand/pronated and underhand/supinated grips as each one has its advantages. Grip width is another simple tactic that can allows for improvement through variation. Contrary to popular belief, using a wider grip does not actually build a wider back. However, looking at the bigger picture being strong from different angles is highly beneficial because the muscles as a whole are stronger and the stronger the muscle the bigger the muscle. Therefore, incorporating different widths is an excellent way to add muscular development through angle variation. 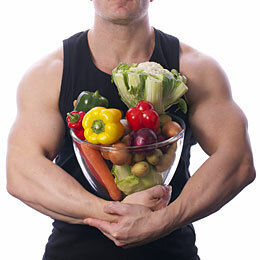 As with the results of every other workout routine, your progress is tied hand in hand with your nutrition. Too often, proper nutrition gets reduced to only doing it when it is convenient instead of being viewed as an intricate part of physique improvement. Nutrition is the foundation for your physique and without a stable and proper foundation you can forget about building a good structure. Take your nutrition seriously because building a wide back or any other muscle is going to require an adequate amount of protein as well as the right amount of energy intake. A sufficient amount of protein gives your body the nutrition it needs to grow muscle tissue, while consuming the right amount of energy or calories is necessary to improve body composition through fat loss. Both requirements vary from individual to individual and finding the right amount of both for you specifically may require the use of a nutrition calculator or nutrition coach. This wide back workout routine is going to entail two specialized back workouts per week. Each workout will have a different target rep range allowing for more muscular growth through periodization as well as a variety of grips, angles, and a balanced vertical-horizontal movement approach. To cover all basis’, periodization is defined as the systematic planning of manipulating both volume and intensity to improve performance. 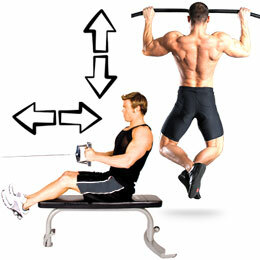 With this particular routine, volume and intensity will be manipulated by changing the target rep ranges each workout. One workout will focus on power with repetitions in the 5-8 range while the other workout will focus on size with repetitions in the 10-12 range. 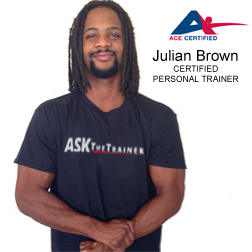 However, both workouts will contain an equal amount of horizontal and vertical pulls for ultimate balance and growth. An exercise not included in either back workout is the deadlift. Although the deadlift and its variations are hands down some of the best exercises for lower back development, the primary focus of the deadlift is the muscles of the glutes and hamstrings. The overlap of the leg muscles between exercises such as the squat and the deadlift is why I believe deadlifts are better suited to be included during leg workouts and not back workouts. The first back workout concentrates on building strength by performing exercises with the rep ranges of 5-8. In my opinion, it is best to perform the intense low rep range workouts earlier in the week followed by the higher rep range workouts later in the week. The purpose of the first workout is to build strength by using heavier weights which is best achieved by performing the workout when the muscles are fully recovered. Therefore, to maximize strength, the low rep range workout should be completed at time when the back muscles are fresh. Once again because the goal is strength, the repetition tempo should be a faster, but controlled pace while the rest periods in between sets should be longer allowing for better muscle recovery and better performance each set. The second back workout focuses in on the 10-12 rep range which is the most effective rep ranges for hypertrophy, aka muscle growth. Although the higher rep scheme of the second back workout is optimal for hypertrophy, the lighter weights are just not as physically demanding strength wise making it the better choice for the second workout of the week, as the muscles may be a bit fatigued from the first back workout session earlier in the week. With the goal of increasing muscular size, repetitions should be completed at a moderate and controlled pace. The rest time in between sets should be shorter during higher rep workout as the muscles require less recovery time training for hypertrophy versus strength. These rest periods should last roughly anywhere between 60 and 120 seconds. 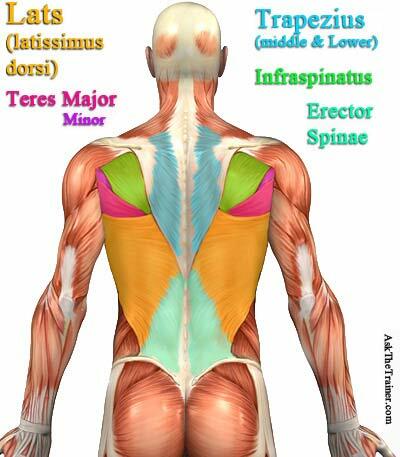 Building a back with wings as wide as the sea is similar to every other muscle group. It needs to be consistently trained properly through form and variety combined with adequate nutritional habits that support your muscle building fat shedding goals. I cannot stress enough how important proper nutrition is to getting results in the gym. Even the perfect workout routine can be subpar if the proper amounts of micronutrients such as vitamins and minerals and proper amount of macronutrients such as proteins are not consumed. Get the most out of your back workouts and build a back wide enough to fly by implement proper nutrition and doing vertical and horizontal pulls equally in your back routine.